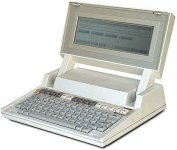 The HP 110 was one of the first laptop computers to offer a similar level of performance to contemporary desktop PCs, such as the HP 150. 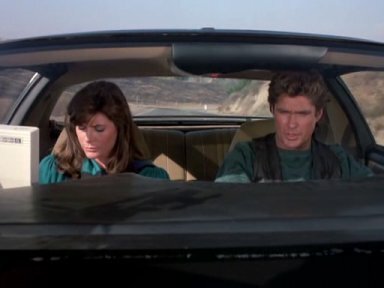 Michael deliberately loses KITT in a race so that he can track down the illegal car that hurt his friend. 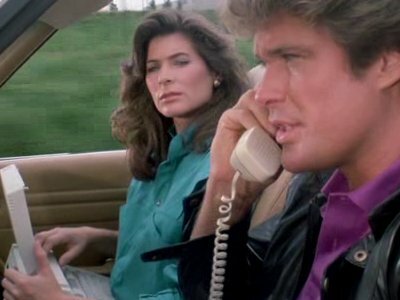 Bonnie uses the HP110 to locate KITT's homing beacon. 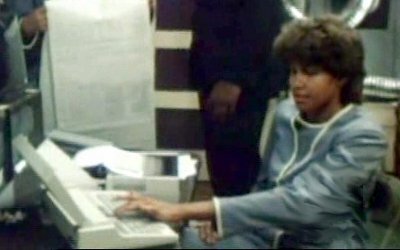 There are a number of issues here, including the HP110 being shown to have a colour screen. 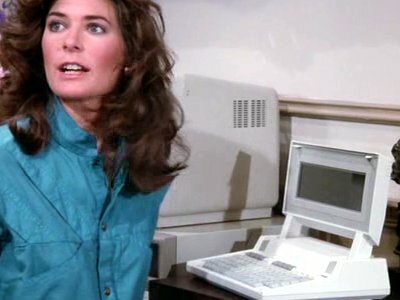 Under tight security, the environmentalist is kept in a hotel room where his secretary uses an HP 110.